Hi loves! 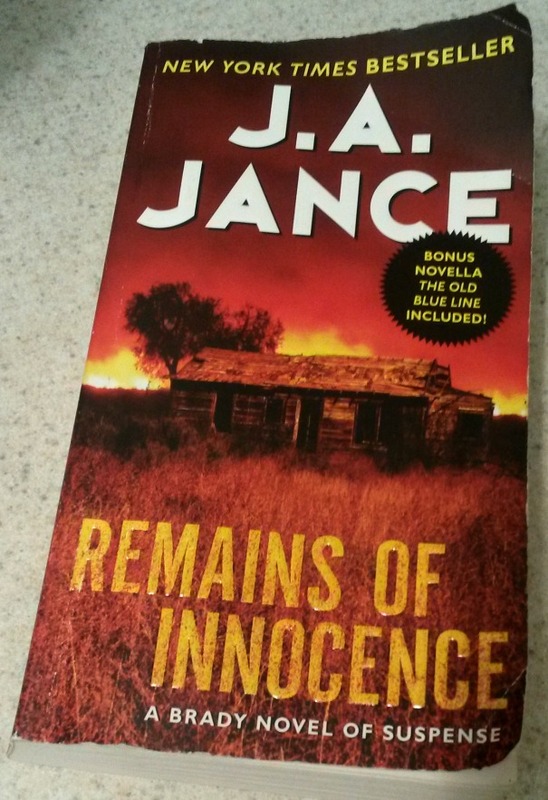 My latest read was Remains of Innocence by J. A. Jance, a delightful and gripping mystery novel. This story takes place in Brisbee, Arizona. When Junior Dowdle, a sweet disabled man, goes missing, the citizens of Brisbee are desperate to find him. When his murdered body is found in a cavern, everyone is devastated. Sheriff Joanna Brady has a big case to solve. Who would want to harm Junior? And why were dead, tortured pets found in the same cavern as him? On the other side of the country, Liza Matchett, a waitress living hand to mouth, uncovers a small fortune in her deceased mother's house while cleaning it out. Liza is filled with mixed emotions: rage that her mother kept this fortune hidden for so many years, and relief because this money will really come in handy to cover the costs of cleaning and renovating the old house. During her mother's funeral, a strange man warns Liza that "the bread truck drivers never forgive or forget". Who is this man and what is he talking about? Liza's estranged father used to be a bread truck driver but what does this have to do with anything? Liza will soon find out! Hours later, her mother's house is burned down and her landlady is murdered. Liza is frightened and begins a journey to Brisbee, where her estranged brother Guy Machett resides. Sheriff Brady has barely begun working on the Junior Dowdle case when another shocking murder takes place in Brisbee. Notifying the next of kin becomes next to impossible and Sheriff Brady must work very quickly to solve the murders before more people are hurt.